Ever since the first commercial canopy zip line tour came into being in Costa Rica in 1997, the zip line industry has soared quickly into big business with dozens of zip lines all over the country and across the world. I recently took a friend, who is a bit of an anomaly, on her first-ever Costa Rica canopy zip line tour. She is an anomaly because after more than 15 years of living in Costa Rica, she had never experienced a zip line tour – quite difficult to do given zip lines’ popularity in Costa Rica. 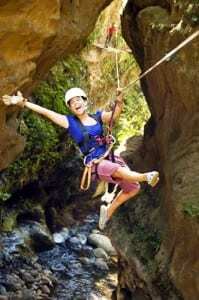 Zip lines are probably the all-time favorite adventure tour in Costa Rica for visiting tourists. There are dozens of zip line tours – more often called “canopy zip line tours” or simply “canopy tours” – all over the country. We were at the Canyon Canopy Tour at Hotel Hacienda Guachipelin by the Rincon de la Vieja Volcano in the northwestern province of Guanacaste, Costa Rica. Designed and built by a long-time friend of mine, Costa Rican architect Jose Manuel Pizarro, owner of the Costa Rica zip line design and vertical training company, Linea Vertical, the one-of-a-kind canopy zip line tour in Costa Rica began operating at Hotel Hacienda Guachipelin in 2000. Besides being incredibly fun and full of adrenaline-charged moments, the distinctive factor about the Canyon Canopy Tour is that it has so much more than zip lines. You get to fly high above the treetops and back and forth between narrow canyon walls over the White River (Rio Blanco) on seven zip lines. You get to cross three hanging bridges and have fun on two Tarzan swings. There is a controlled 20-meter (65-foot) rappel, and two routes on a natural rock climbing wall to come back up those same 20 meters. And finally, there are three via ferrata traverses and climbs. Overall, you will travel to 21 platforms on the whole tour, which takes about 90 minutes to two hours to complete. The spectacular setting alone is worth going on the tour. You are deep in the dry tropical forest – a unique ecosystem in Central America – by the Rincon de la Vieja Volcano. 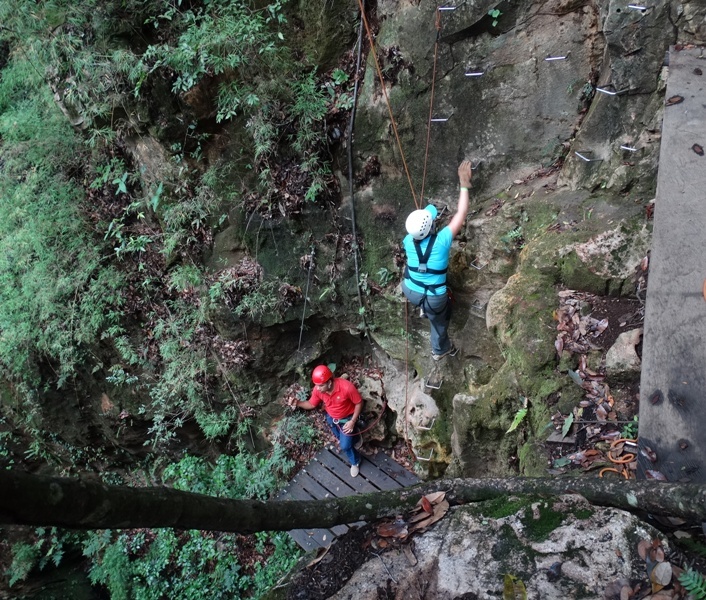 The tour starts off with the longest zip line, crossing a wide canyon high above the trees. 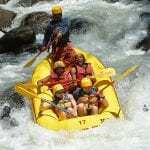 A couple more zip lines later and now suddenly you are in a narrow, densely forested, rock canyon above the rushing White River. Simply beautiful! After initial trepidation, my friend loved the tour and said she’d do it again! For me, it has become one of my favorite canopy tours in Costa Rica. 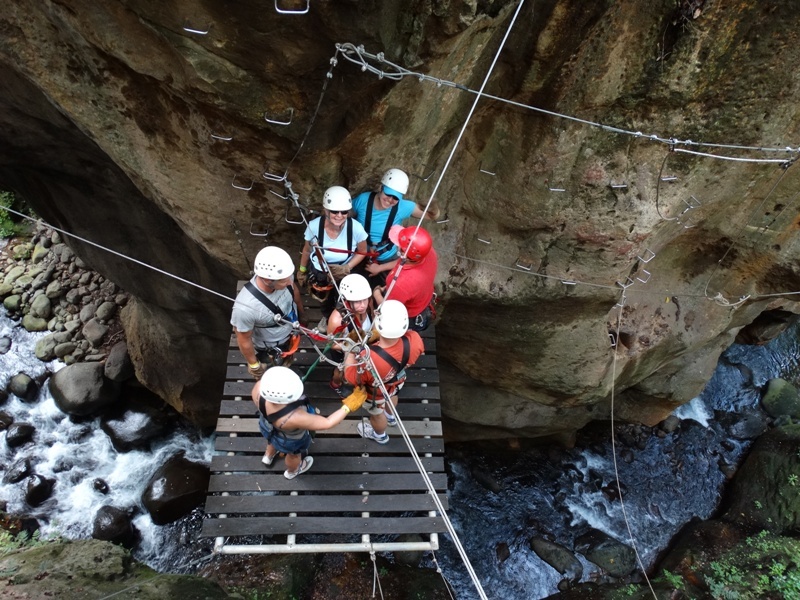 Hacienda Guachipelin’s Adventure Center operates some of the best adventure tours in Guanacaste, Costa Rica. The Adventure Center is open seven days a week from 8:00 a.m. to 5:00 p.m. for both hotel guests and day visitors. Besides the zip line tour, you can go horseback riding, river tubing, waterfall rappelling, mountain biking, hiking in the Rincon de la Vieja Volcano National Park, and soak in natural volcanic hot springs. For the best day of Costa Rica adventure tours, get the One Day Adventure Pass, which includes four tours and a delicious lunch. 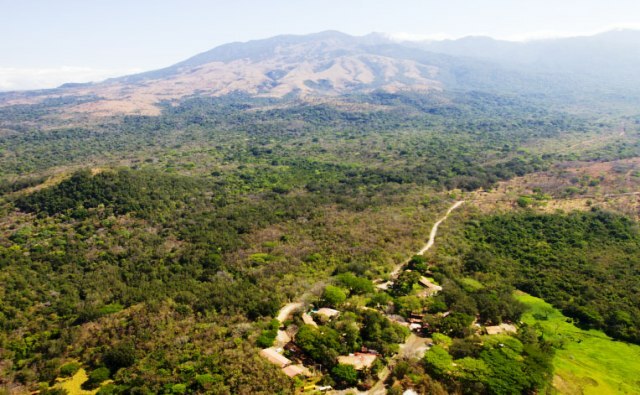 At the base of the Rincon de la Vieja Volcano in Guanacaste, Costa Rica, Hacienda Guachipelin is an award-winning eco-hotel on a 3,400-acre ranch. 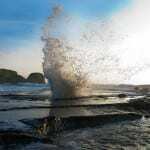 It is an idyllic setting of waterfalls and natural hot springs in distinctive dry tropical forest. The hotel is 15.5 miles (25 km) northeast of Guanacaste’s main city of Liberia. Zip lines were first invented in Costa Rica. Back in 1974, U.S. resident and California State University, Northridge graduate student, Donald Perry, pioneered the new method for climbing into and moving around the Costa Rica rainforest canopy, the world’s most complex living community, for his field work. It is in the tree canopy where upwards of 40 percent of all life on earth exists. Perry used a crossbow to shoot a rope into the branches of a 120-foot tree in the Osa Peninsula, and then climbed it using mountaineering ascenders. He later strung webs of ropes and pulleys between trees to move freely in the canopy without having to return to the ground. You can read about Perry’s adventures in his book, “Life Above the Jungle Floor,” published in 1986. This led to the invention of the commercial canopy tour — a billion-dollar industry that has been reproduced all over the world. 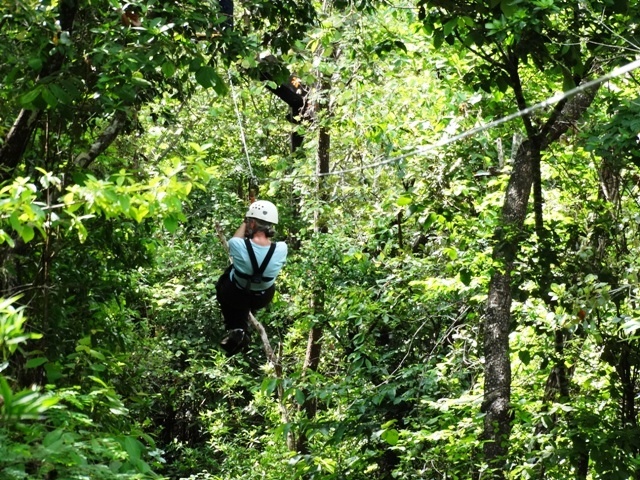 The first commercial canopy zip line tour came into being in Costa Rica in 1997 – the Original Canopy Tour in Monteverde.